As a self confessed sweet tooth, I am one of those people that doesn't mind too much seeing those Easter Eggs hit the shelf in the middle of summer! Easter is definitely my thing and I look forward to my Lindt Bunny and Humpty Dumpty Egg (I will never be too old for these things!) all year round. 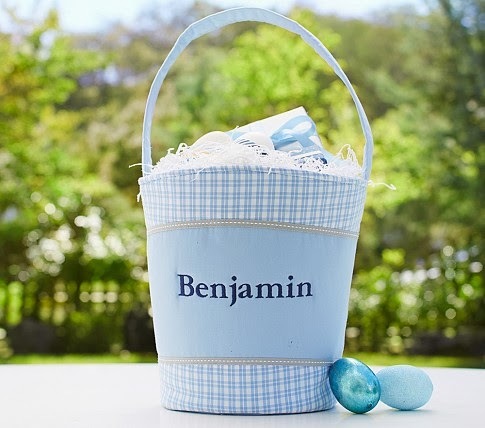 Even though I am a bit of an Easter fan, it has only been the past few years since having bambinos that I have gotten in to the swing of Easter decorating. I don't go too mad, just a few pieces here and there around the home and I am a big sucker for the Bed, Bath and Table Easter range - isn't it the best?! As with Chrissie, I try to limit myself to a few new pieces to add to the decoration collection each year. And I also try very hard (sometimes failing) to resist buying much more, and then buy a few things once the big 50-70% off sales inevitably kick off a few days post Easter. This year I ended up picking up a few buys from the Pottery Barn Kids range which is just divine. If you haven't checked it out in Australia you can do so here. 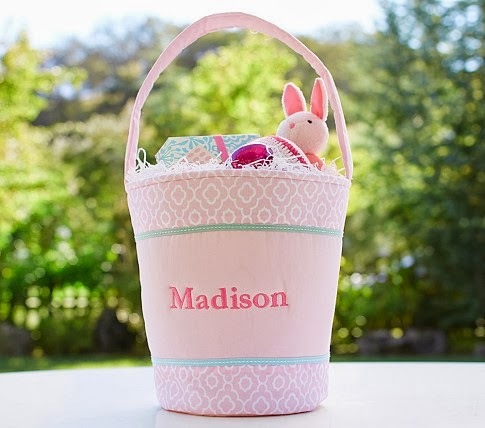 These Canvas Buckets from Pottery Barn Kids are available in Australia for $24.00 each. Unfortunately you cannot get them personalised unless you are able to make it in to their Bondi store - boo! I purchased mine from the US as I really, really wanted to have them personalised and I think we will have them for years to come. I purchased them in colours that match the bedrooms of Mr B and Miss C, so I can also use these in their rooms year round for storage. 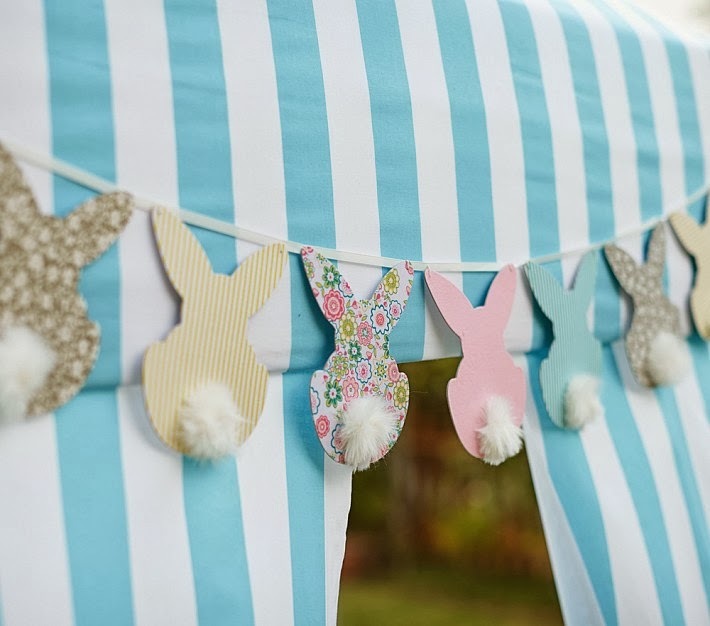 I couldn't resist this sweet little bunny tail garland also from Pottery Barn Kids. You can also purchase this from the Australian Site. If you are a creative type, I think that this would be a super easy thing to recreate yourself at home using some pretty pastel fabrics don't you think? 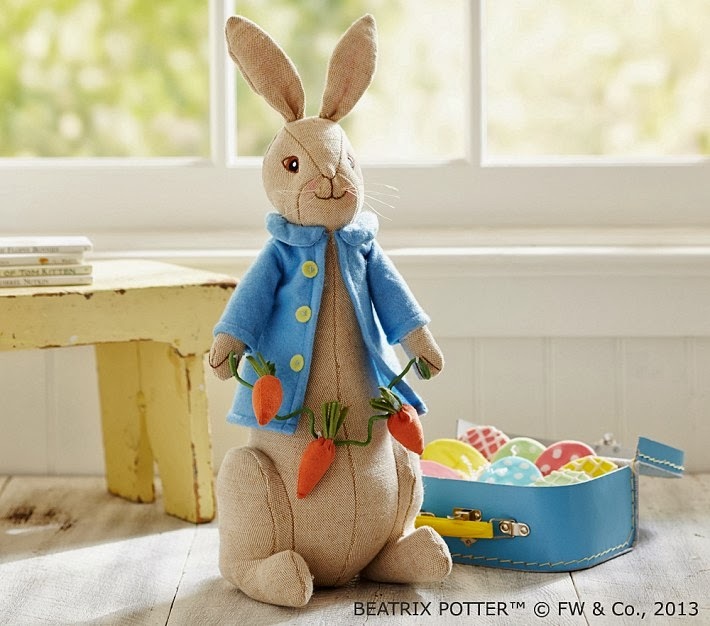 A large Peter Rabbit Decoration. Unfortunately this one is only available from the US Pottery Barn Site, but a different variation can be purchased through the Australian Site if you are not too fussed about it not being Peter. Mr B still adores his Peter Rabbit soft toy (it goes everywhere with us from shops to swimming and bed! ), so I knew that I had to get this. It is a lot bigger than I thought (20 inches apparently), but so very cute!! If you follow my Facebook Page, you will have seen me post this picture over the weekend. These cuties are from Target and a bargain at $6.00 (chicks) and $4.00 (bunnies) a piece. When I saw them, I instantly thought that they must have been made for me with the taupe polka dot and aqua perfectly matching our décor! So that is it... for now... I am trying very hard not to even go within 500 metres of Bed, Bath and Table until post Easter! My next dilemma is when to actually pop these Easter decs up. Do I go a month before Easter? The start of April? When do you plan to start decorating this year? Have you seen any great Easter buys?